Tuesday, August, 2018—INDIANAPOLIS, IN. 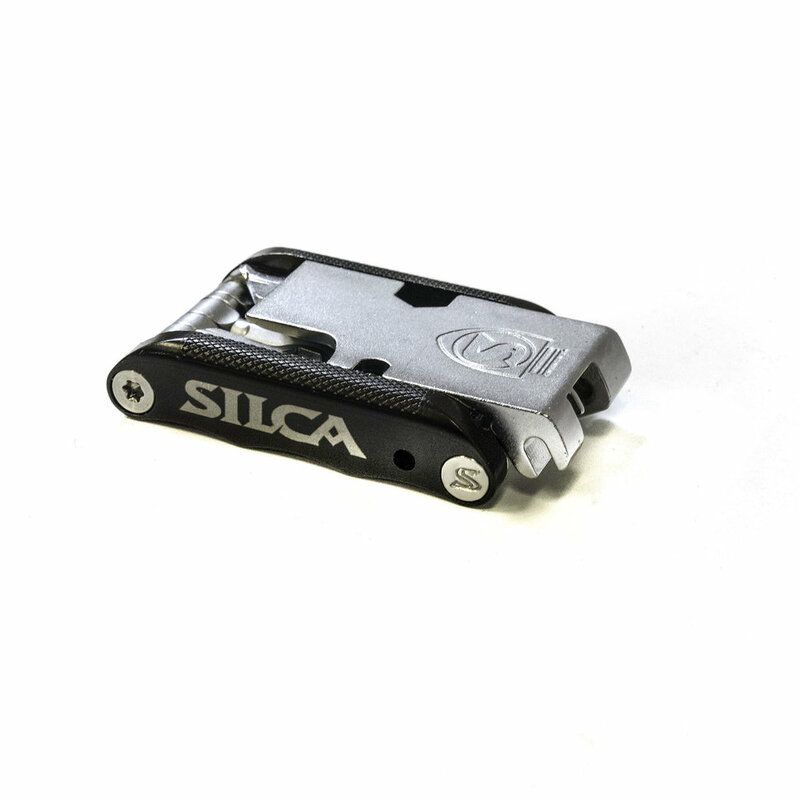 SILCA adds Venti Italian Army Knife to its lineup of multi-tools. 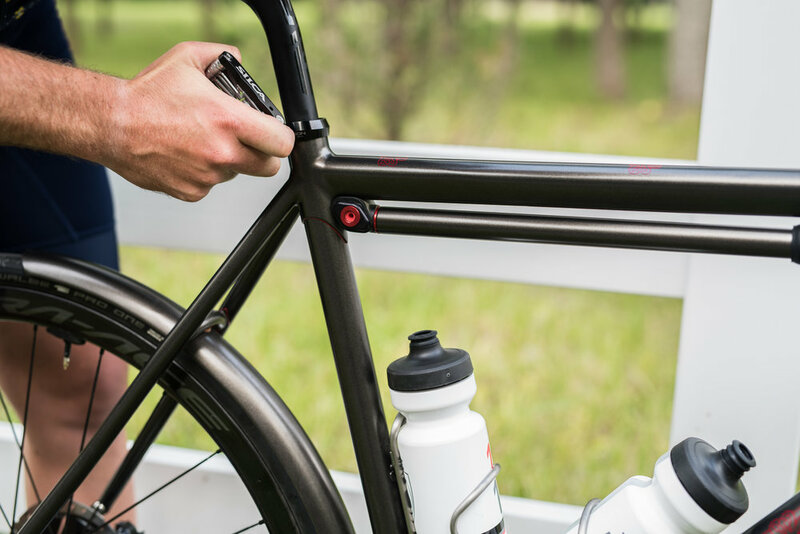 Italian for ‘Twenty’ the Venti packs 20 high precision, hardened steel tools into the same flat design profile of its already existing Nove and Tredici Italian Army Knives. 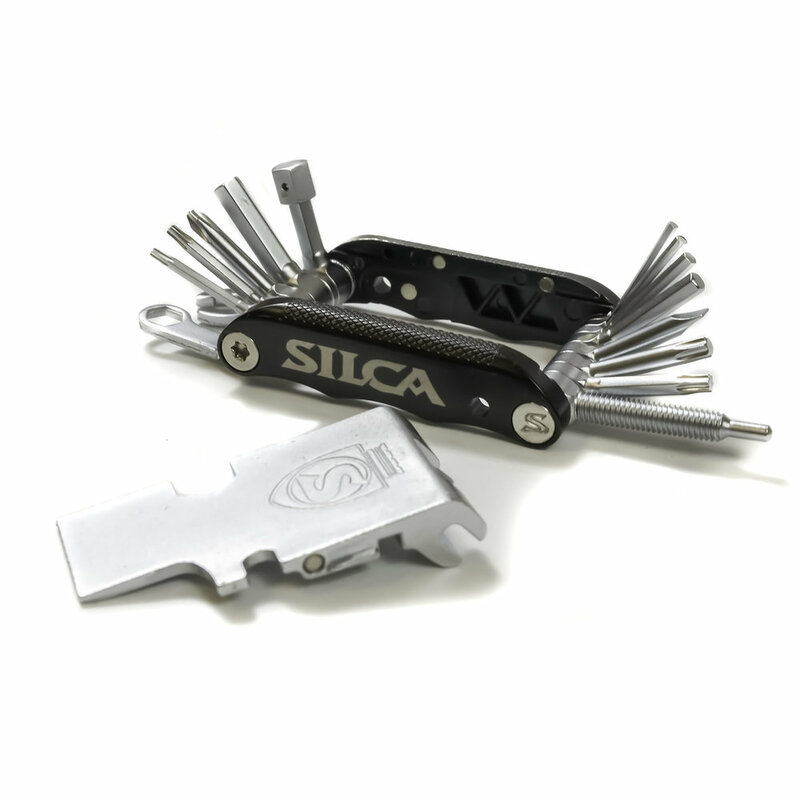 New for Venti is a unique chain tool with a magnetic slide-lock design that allows it to be more than twice as long as other designs for improved ergonomics in use, while also allowing it to be removed completely from the tool for enhanced usability.The forged mid-length tools are long enough to reach all common cycling fasteners, but not so long that they twist or deform under load. 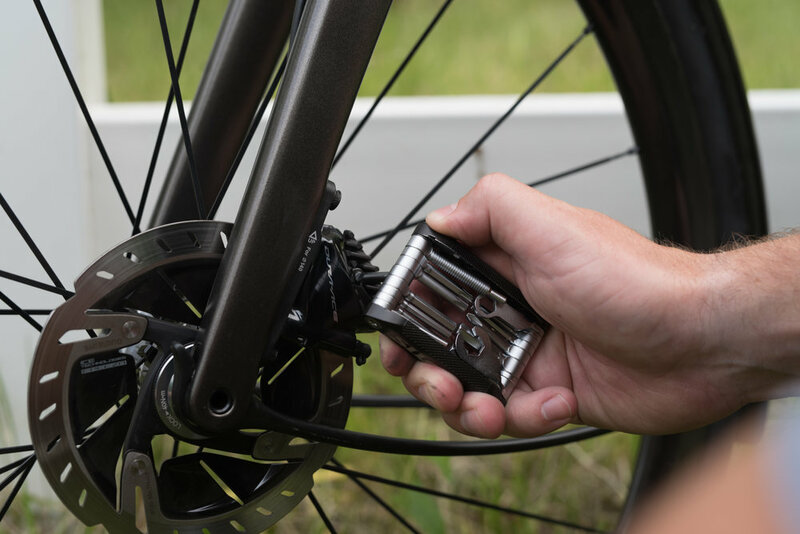 The ergonomic side plates also hold a secret magnetic storage feature for a spare master link, and all tools are coated with SILCA's unique high-grip chrome plating which provides better torque transfer at the bolt interface.